A wonderful gift for Mums, Dads, Brothers, Sisters, Grandparents and anyone who has had a loss but significant to those of us whose sons or daughters are not with us. 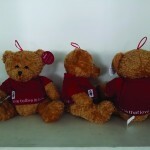 Allf costs €15.00 if buying in person from the office or at events or €20.00 to include postage. 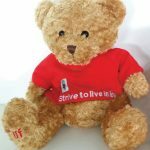 We made a promise some years ago to design and have made a teddy that is unique and meaningful for parents, families or any one who has had a loss so finally we are delighted to introduce ‘Allf’. 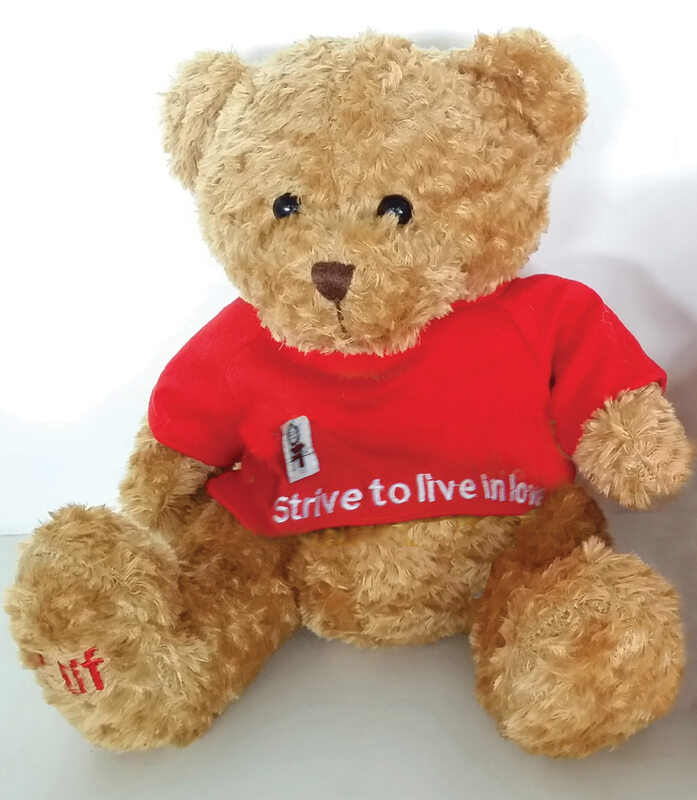 Allf Teddy Bear is specially created to be your ‘companion for life’, one to travel through the good and bad, happy and sad. Can be present on all those occasions when someone so precious is missing from those family photos and special moments. 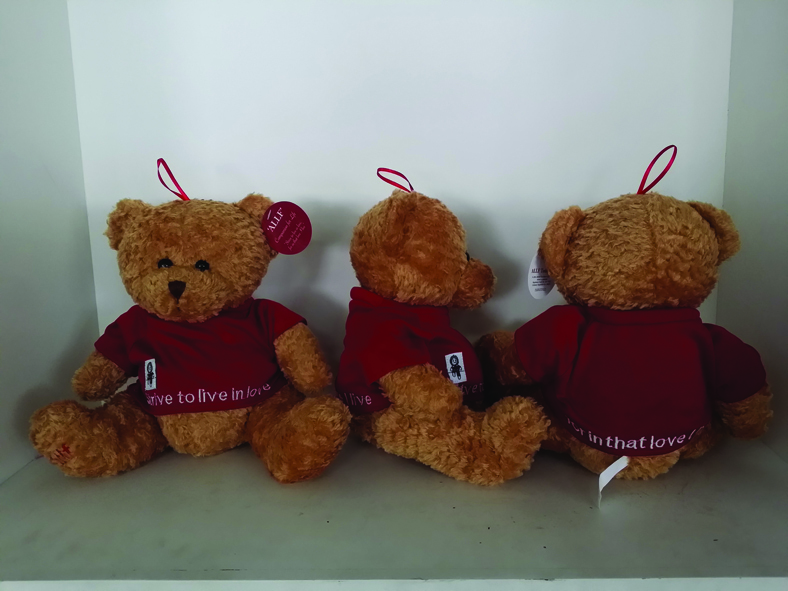 Dressed in a uniquely designed T-shirt with a label sporting the old ISANDS Ragdoll (old name and logo for the charity) and embroidered with the beautiful words “Strive to live in love, for in the love I live”, taken from Christy Kenneally’s poem Dear Parents. A much loved piece of writing and much loved line from the poem which reminds us that our children are with us in all that is good. For children Allf can play an important role in their grief and be that special companion who is connected to their brother or sister who is missing from their lives. 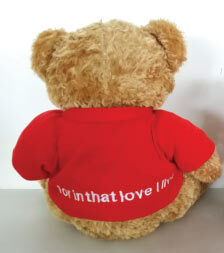 Allf is a 9 inch bear and is made to the highest standard. 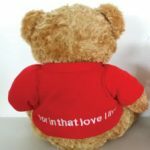 He is a beautifully crafted teddy and wonderful keepsake for Christmas, birthdays/anniversaries, Mothers/Fathers Day or just an ordinary day.